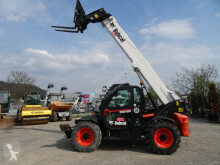 Bought in 2007 by one of the world leaders in the construction industry Doosan Infracore, Bobcat (branch of Doosan Bobcat Inc.) is an American company born in the 1940s and specialising on in the manufacturing and sale of construction site materials. The branch stands out by its exclusive production of compact machines that allow any types of work. 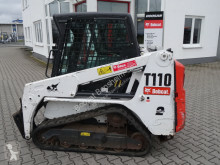 Bobcat manufacturers the following machines : wheel or track compact loaders, mini-excavators, telescopic handlers and other materials such as all-wheel steert loaders. These materials are used industries such as, landscaping, green spaces maintenance and even mining. 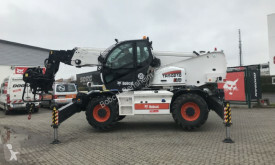 The weight, the height of the bbom and jib or the other type of hooks are important elements for the purchase of compact machines for construction sites. The website Europe-construction-equipment.com allows you to filter your research with very precise criteria. 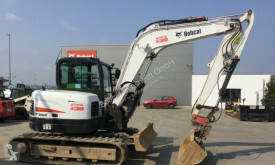 You can find all the ads for used and new machines, equipments and spare parts from Bobcat : mini excavator, track excavator, wheel excavator, mini-loader, wheel loader, track loader, asphalt planner, compressor, excavator part, hydraulic, loader parts, bucket, go-for-digger, snow blade, engine parts, etc.